Scientists say children with autism who also suffer from a sleep disorder “significantly improved” after doctors took out their tonsils and adenoids. 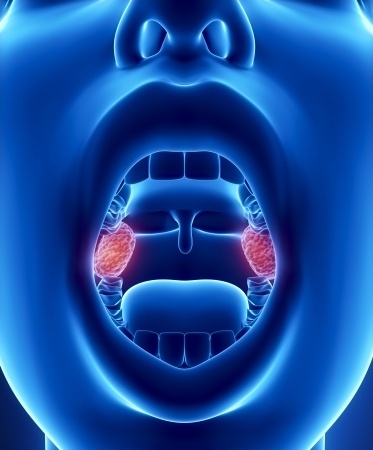 Tonsils and adenoids are masses of tissue at the back of the throat and the nasal cavity. Researchers at Osaka University, in Japan, studied the impact of removing the tonsils and adenoids of 30 children with autism and obstructive sleep apnoea. Obstructive sleep apnoea (OSA) is a condition where the throat narrows during sleep, interrupting normal breathing. OSA can lead to regularly interrupted sleep and have a big impact on quality of life. Removing the tonsils and adenoids is the standard treatment for children. The procedure is an adenotonsillectomy. Between 50 per cent and 80 per cent of children with autism experience sleep problems. The 30 children ranged in age between five and 14. Researchers assessed their behaviours before and after the adenotonsillectomies. The scientists used 24 other autistic children aged between five and 13 without OSA as a comparison group. After the 30 adenotonsillectomies, the researchers carried out tests and assessed two-thirds of the children as having improved. They noted improvements in areas including attention, aggression, problems in socialising and repetitive behaviours. The researchers maintain early detection and treatment of OSA is essential to prevent behavioural problems and to support mental development. They concluded: “Behavioural problems are expected to decrease after AT (adenotonsillectomy) in ASD children with OSA. While two-thirds of the children improved after surgery, the other 10 were “unchanged” or they “deteriorated”. Children who improved had significantly higher scores in a number of areas. These included disruptive behaviours, sleep problems, anxiety, depression and aggression. The researchers based behavioural assessments on parent-led questionnaires, which are open to bias. The work was published in Research in Developmental Disabilities earlier this month.